Ее 357 отсчитывать от 365 дней ежедневных фотографий. Я принимаю фото каждый день в течение года. Это дисциплина Я введенные на меня, как творческий эксперимент, в фотографии. I hope translation is correct. It should be just a tide. Is it? Terrestrial plants cannot live in a sea water. Mangroves do. This is what holds the island in place against erosion. The World could use an education on Mangroves, a very valuable plant in the Caribbean. We say in Belize 'Fish Grow on Trees in Belize', because the mangrove has a big role in their life cycle. 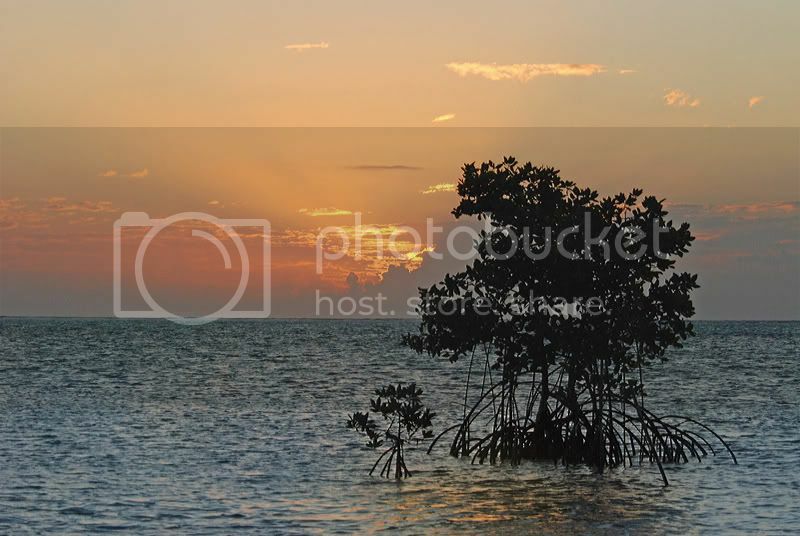 Lovely picture, though I somehow find mangrove swamps rather creepy. Do you have those fish there that come out on the mud? Lots of creepy critters in the mangroves , yes but i'm not sure about the mud fish. Development/Developers are clearing to many mangroves on the island where i live and the island is being put in jeopardy because of this. Educational efforts are helping the public understand the value but the development mentality won't heed the warnings of environmental devastation. I'm optimistic the world will soon change to place new values on the environment and take actions to protect the global environment but worried not in time to save my little island home from being screwed by greedy developers. hummmm that was a mouth full. Thankyou Thankyou It was a good morning walk.